"It's inevitable," she told CNNMoney emerging markets editor John Defterios. "It's clearly a domain where we need international regulation and proper supervision." "There is probably quite a bit of dark activity [in cryptocurrencies]," she added at the World Government Summit in Dubai on Sunday. 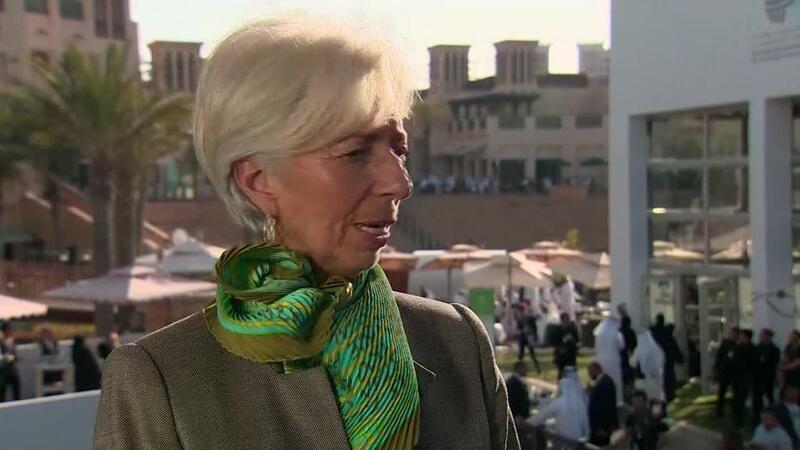 Lagarde said that the IMF is actively trying to prevent digital currencies from being used to launder money or finance terrorism. But she argued that regulators need to focus less on entities, and more on activities -- who is doing what, and whether they're properly licensed and supervised. Digital currencies have largely operated in a regulatory vacuum since bitcoin's debut in 2009. But governments and central banks are starting to pay closer attention, warning investors about potential scams. In December, the U.S. Securities and Exchange Commission and the Federal Bureau of Investigation started to crack down on alleged fraud in fundraising by some cryptocurrency companies and traders. Top government officials at the World Economic Forum in Davos also signaled that more regulation could be on its way. "We encourage fintech, we encourage innovation, but we want to make sure that all of our financial markets are safe and aren't being used for illicit activities," U.S. Treasury Secretary Steven Mnuchin said last month at the conference. British Prime Minister Theresa May echoed that sentiment, saying that her government would look "very seriously" at cryptocurrencies "because of the way they are used, particularly by criminals." Bitcoin (XBT) has crashed along with global stocks, plunging 40% from a month ago to trade near $8,350. It had peaked at $19,343 on December 16.